Howard Stern told syndicated personality Bubba The Love Sponge Thursday that he's had offers to return to terrestrial radio -- "not a bona fide offer, but people have been making them" -- when his deal with Sirius XM Radio is up. As contract negotiations are presumably getting underway -- Stern's five-year contract winds up at the end of this year -- Stern has said on his Sirius show that he may not re-sign with Sirius. Bubba told Stern, "You haven't even scratched the surface" of potential offers, adding, "Whatever you want to do, including being clean, you could do it." Stern did set one limit on the possibilities; he said, "I can't imagine the day that I would ever work for Clear Channel." As far-fetched as this may sound, Stern is the only radio personality in the country capable of going up against conservative and right wing radio personalities like Rush Limbaugh, Sean Hannity, and Glenn Beck. 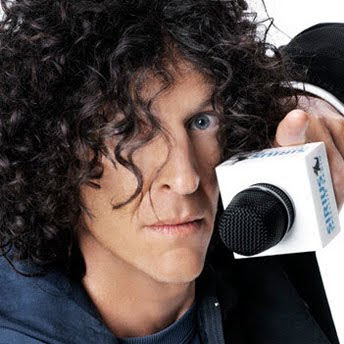 So you may say that in order for the political climate in this country to shift more to the center, a voice like Howard Stern is needed to stem the one sided tide. For all of his raunchiness, the Democrats should hope for an early release from his Sirius XM contract and a return of Stern to terrestrial radio before the upcoming mid-term elections in 2010. Maybe even for another term for President Barack Obama in 2012. As it stands now, based on the recent election results of Sen. Ted Kennedy's successor in Massachusetts; the conservative voice via talk radio is a strong voice in this country.